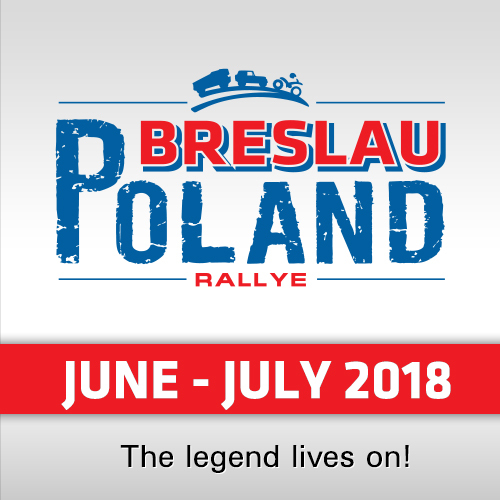 Are there only trucks in the Breslau Rally Poland? No, for sure. And we will report also about other competitors and categories in the next days. But again we have a very special truck, especially built for the Breslau. 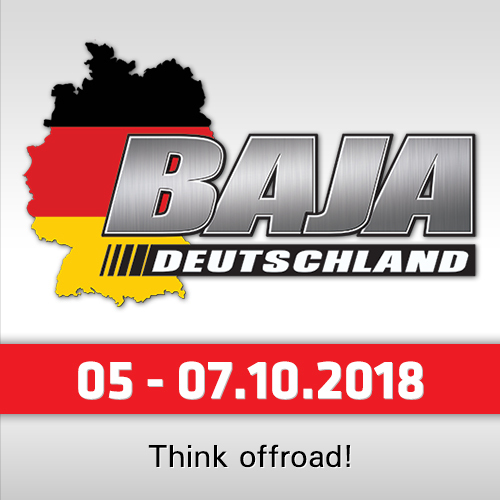 While the German Unimog-Racing crew decided to put the engine in the middle of their racetruck (as we reported last week), now we will see a front-middle-engine concept from Holland. "Normal" you maybe think. No. Definetely not. Henri Verhoeven from the Netherlands is a real Breslau legend, well known for his remarkable trucks. Verhoeven started his first Breslau in 2006 as a service-crew member in a Tatra 8x8 crew - "and I was infected with the Breslau-Virus," the Dutchman says with a smile. One year later he was back: With his own Team and an Ural 6x6, which he and his team used until 2011. 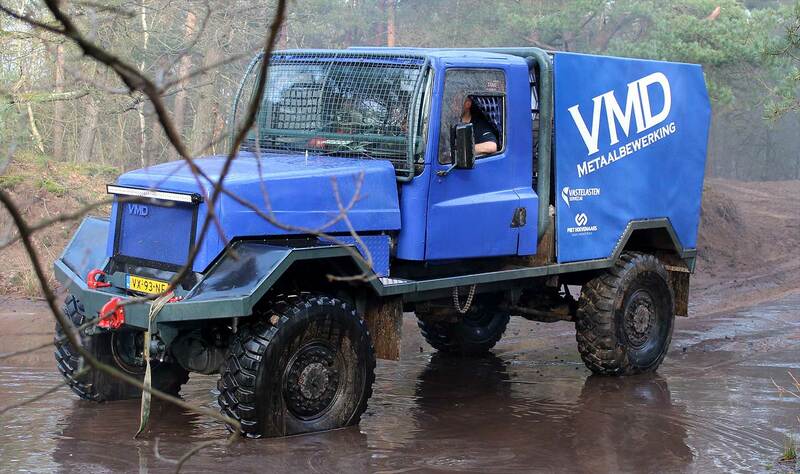 From 2013-2016 his VMD Rallysport Team participated with a GINAF 6x6, in 2017 he was back as a navigator for the Dutch Floor Dekkers in a Mercedes Unimog. But Henri wants to drive! "After some years with the mighty Ural 6x6 we wanted more speed, therefore we started with the GINAF project," Verhoeven reported. "We customized a GINAF 6x6 sand-container truck. But the supension and weight of 12.5 tons didn´t really satisfy and we started with new plans. And here we are now!" 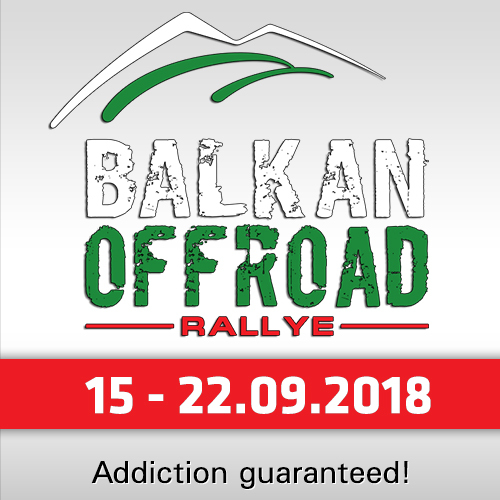 Because "normal is boring" and the Breslau is a very special rally, he thought about a combination which could bring an advantage. "The big MAN KAT trucks with coil springs are heavy duty but perfect for the Polish Breslau grounds with their short bumpy tracks," Verhoeven said. "Therefore a MAN KAT 4x4 chassis, MAN- and Mercedes-axles and MAN-springs are the basis for our new rallytruck. We shortened the chassis to minimal size and fitted a Reiger suspension." He continued: "For weight distribution and comfort we placed the old GINAF cabin almost in the middle of the chassis. The cabin is modified to host a third seat. Dash removed, all wiring new, without relays." For the engine the VMD Rallysport Team decided for a DAF 1160 motor. "This was placed as far back as possible. 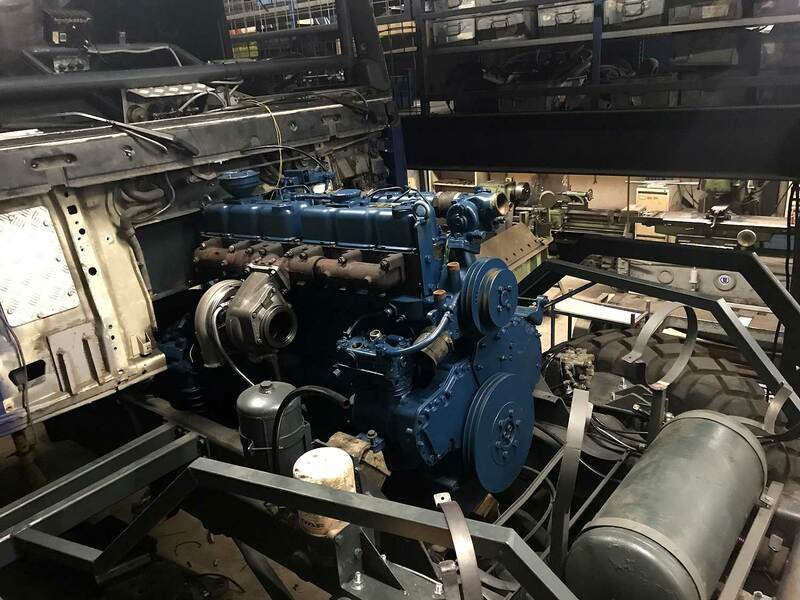 Behind the engine we installed a ZF 16 speed gearbox and VG 1600 tranfercase with high and low speed. 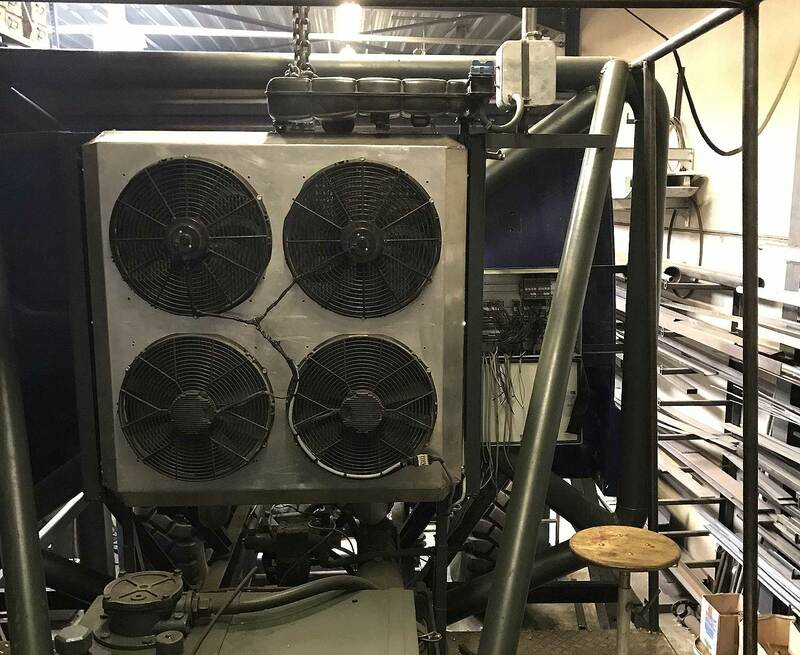 The radiator and intercooler we placed behind the cabin to keep them safe and clean." Also his former Ural-racetruck was helpful: "We took the trusty winch from the Ural, mounted them in the middle of the chassis, faced backwards to make winching possible in two directions." But that´s not all: "To make unrolling of the winch-cable less exhausting and quicker, we´re using a secondary winch!" 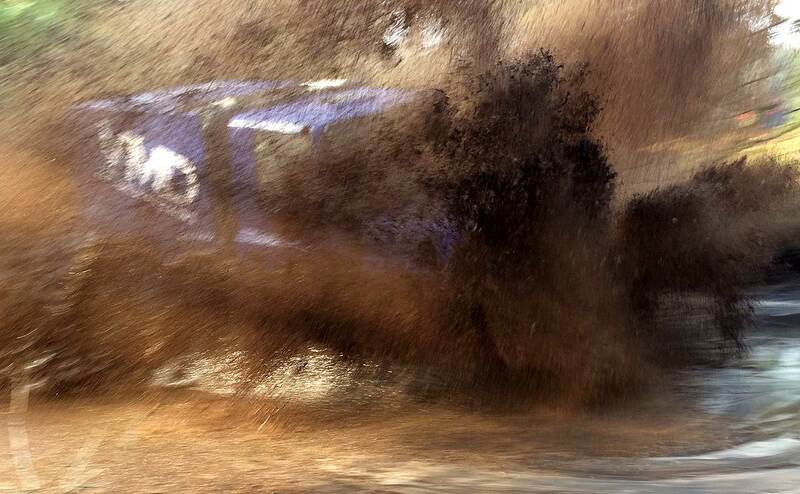 The result is an impressive and extraordinary rallytruck with a total rally-weight of 8.5 tons and 50-50 weight balance. "The truck is mainly build for the Breslau Extreme category and with minor adjustments also suited for other rallies," Verhoeven finalized. "Overall building time together with my enthusiastic and dedicated team was approximately 1,5 years. First goal at the Breslau 2018 is to bring the truck to the finish line. We think we got the ingredients right, now they got to prove themselves!"